Your bid must be at least $5.00 more than the opening or last bid. 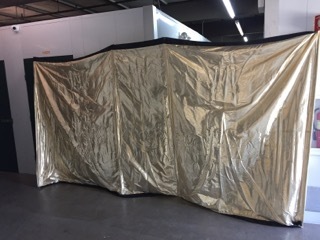 Brand New Stage Illusion Modern Art with gold pin striping and beautiful red coat with several polyurethane coats for protective finish. Need to sell to make room for more illusions. Illusion has everything you need the only thing you would need to get is $50 pair cheap mannequin legs on ebay or make them yourself with pvc pipe and pair jeans. Comes with trick sword for the routine to cut girl in half also breaks down into 2 pieces for travel. Plus shipping or pick up in Texas I can meet anywhere in metroplex for extra $50. The most versatile illusion accessory you can have. They can be used with virtually any prop you have to facilitate a vanish or exchange. They stand 36-1/2 inches tall 28 inches wide & 46 inches deep, and feature a backside getaway. The unit is beveled to appear ultra thin when viewed from the front right angle. Super heavy duty made. Needs a little tender loving care. Grand Rapids, Michigan for Pickup. This came from a professional in the greater Los Angeles area. We had it custom painted with automobile paint for $400. We added a 5th wheel to the base, as Billy McComb taught to allow the illusion to move effortlessly while the assistant is inside. Those oversize wheels are durable and valued at about $150 total. Illusion boxes are metal on the sides, which makes them both lightweight and durable. Easy for one person to lift and stack one on top of the other, for the finale production of the assistant. Colors are great for a 4th of July show. Also, by adding ribbon to the sides of the boxes, they look like gift boxes for a Christmas or Holiday presentation. We added some innovation (IP), for the Christmas shows we present. Buyer is granted live performance rights to that custom addition. (IP rights retained by the inventor.) We produced a "North Pole", once the boxes were stacked. Easily removed thru the top of the boxes, the pole is solid and over 6' tall. THEN, the assistant is magically produced. For a LARGE Production Box, use just the base box. Open it at the top and front, to show a blue box inside. Close the front door and lift the blue box out of the top of the box, showing that box solid on all sides and take a production item out of it. Then, produce as many production items as will fit from inside the red base box!!! That box and idea was a custom project. Buyer is granted Live Performance Rights of that innovation. (IP rights retained by inventor.) Located in Arizona - we will deliver to Phoenix or pick up in local area. Cutting arm in 3rds - very good condition. Futuristic design. Builder unknown. Very deceptive. Can use an audience member. Center section vanishes. Doll House/Sword Box Illusion with 12 Swords. Easy to tear down, packs flat and will fit in a car. 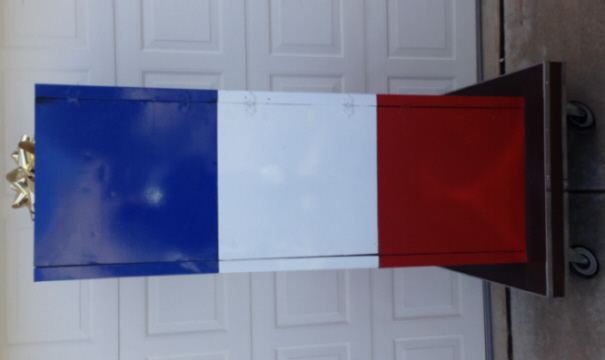 It is easy to take apart and repaint for any type of show such as Halloween, Fourth of July, Christmas etc. 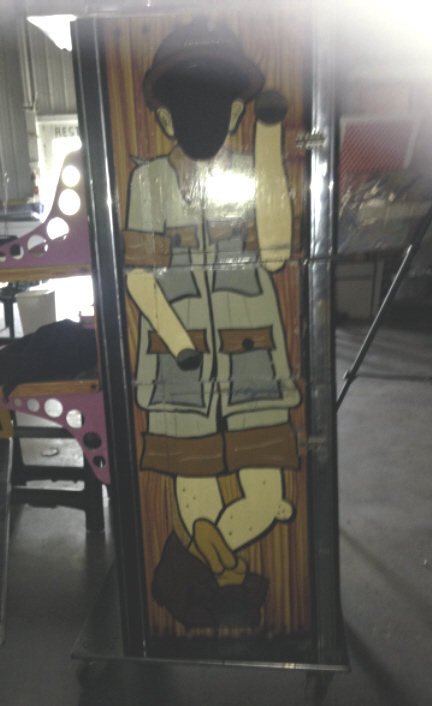 It is in very good condition and has been used for several shows. Performer rolls out a mysterious box and opens up the door to the front to show the entire interior empty with a light staff. Shutting the front, the cabinet is then rotated completely around, proving that it is indeed empty. The light staff is then inserted into the top of the cabinet, thus illuminating the cabinet's interior. The audience can clearly see shadows suddenly appearing, twisting and turning from within, until it finally takes on a human shape. Then the human form burst through the front door which is made of paper, and the audience is surprised to see the performer's assistant inside, appearing from the depths of another dimension! Packs flat and can be put together in minutes. Comes with enough paper for front door of Illusion for many hundreds of shows. An elegantly crafted transparent crystal chamber is wheeled onto the stage and displayed before the audience by the Magician. The Magician covers the clear cubicle with shinny silver cloth. The Magician then removes the fabric draping, showing the surprised audience an Assistant who has instantly appeared inside the vacant enclosure. There is a slight defect in one of the wheels on the base but it still moves around with no problem and price has been lowered due to this. 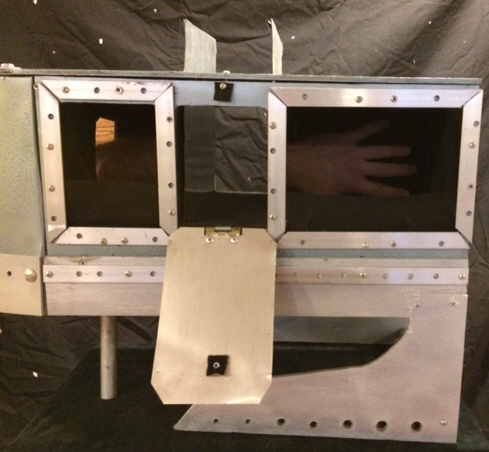 Used in one show, like new condition - This is an amazing prop built to last! It has the very deceptive straight legs with sliding gimmick and unique back hidden door. A real fooler and very deceptive. Does not include the material for the panels.. you can use butcher paper. Panels are pin hinged on and come off very easily as well as the roof! Heavy duty metal legs and castors - No cases, prefer pick up but we can ship. Panels do not break down they are light but they are long almost 6' tall. 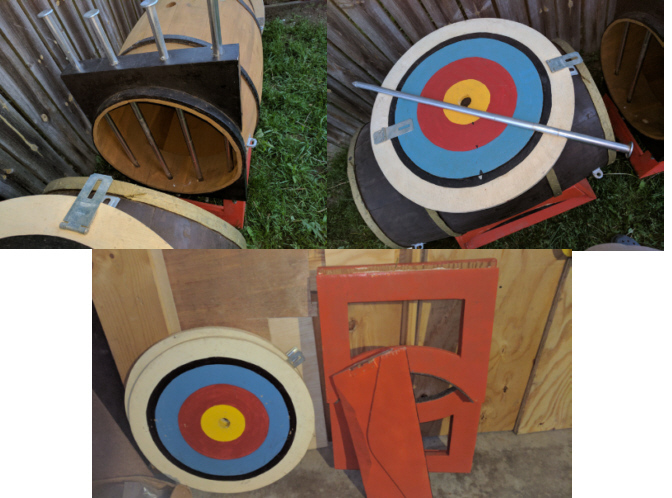 Pretty easy to transport as it does come apart and assembles quickly and is not that heavy. Crystal Casket in good condition. Made of steel, so is on the heavy side, but very sturdy. Can easily hold the weight of a large man to stand on. Sides are plexiglass, and the base is coated in the same material used in truck bed liners - very rugged construction. Also included is the original material used to cover the case. Comes with base, the gold painted frame, and cloth cover. Pensacola, Florida or Mobile, Alabama. Not super heavy like Abbotts or Owen but very serviceable. Rods could use fresh elastic but look very nice. Trap locks good w magnet. Barrels have a very neat extended base so there is a bit more room for the girl. Stands fold for transport. Super levitation, magician levitates 12 feet in the air in a standing position, or assistant can levitate 12 Feet in a laying position, packs flat, would fit in a large van. Very good condition and very versatile, only requires one stage hand to operate. 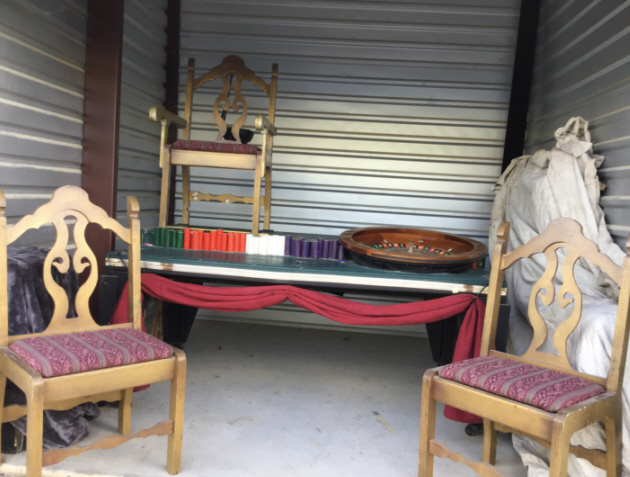 Locking casters and exchangeable gimmicks. This was the levitation sequence in my show (used in conjunction with a Aga Levitation Device, also for sale in the known builders section here on this site). 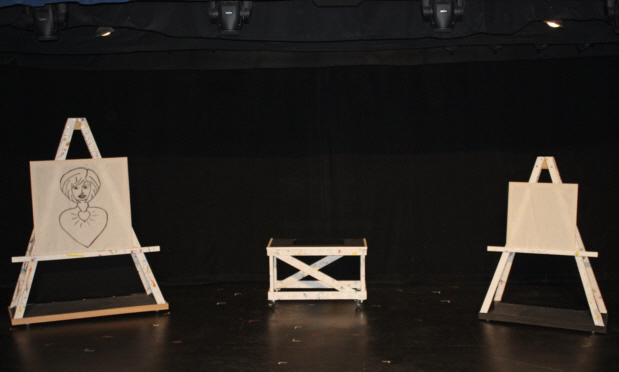 Though we used these easels as part of our levitation sequence, this could easily be a stand alone routine. The big easel on the left is where you draw the picture of your girl and then she punches through the paper. It has dimmer controlled lights which really help when the stage is darkly lit. The table in the center is where my girl would lay down to levitate and at the end we did the Asrah vanish, but with a different method than most magicians use. The cover cloth for the girl is also included. 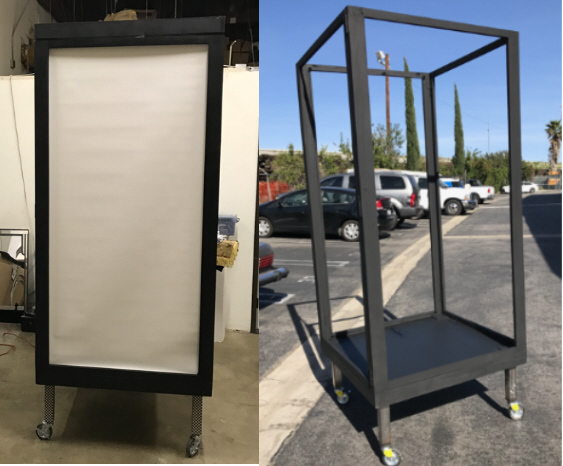 The smaller easel on the left was just used as scenery, but you could easily make this easel into a magical effect that fits into the routine. All of this was professionally built in house by furniture builders and all 3 pieces pack flat into 1 ATA case. Also included is large roll of butcher paper for the easels. Deceptive Base. can be used for a crystal casket type illusion or many other types of apperances or vanishes. Base measuresments are bottom or main step 38"W x 60"L, top step 27"W x 47"L, the opening is 23" W x 43"L, the depth is 8.5". 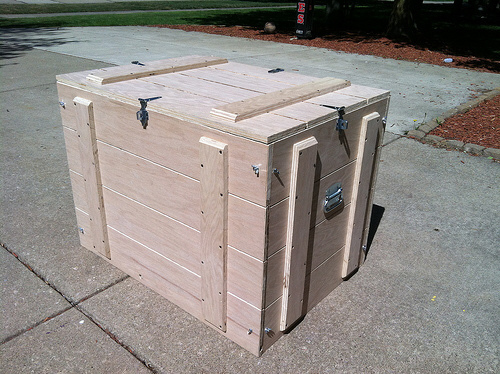 It uses spandex to hide the compartment but could be setup with solid trap doors fairly easy. Substitution Trunk (Builder Unknown) This is a wood crafted substitution trunk painted silver and black and built on quality casters. The wheels lets it double as travel trunk for all your props. Put your entire kit in the trunk for an easy roll it and out of your next venue. 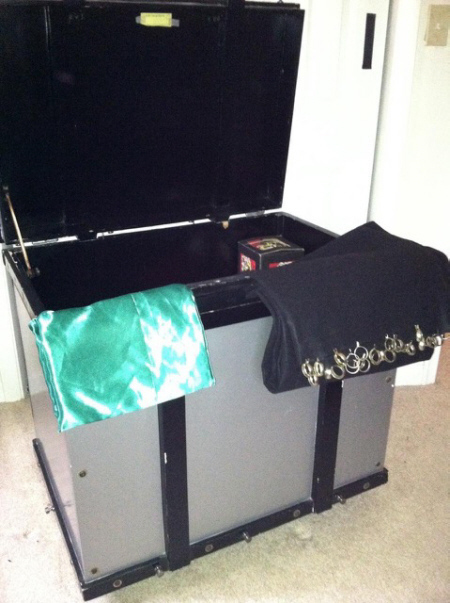 The trunk includes a large satin body bag and black curtain. It is in solid shape, but a little touch up paint here and there will make this trunk really shine. Pickup in Washington DC. Pick up Washington DC area. Assistant squeezes into a small cabinet on the top of a table. 8 spears are then slid through the prop from side to side. Front and back doors are opened to show that the assistant has disappeared and the only thing left are the spears running side to side through the cabinet. Custom built from the Jack Hughes World of Magic book plans with a modified Alan Wakeling base design to help make it more deceptive. Original design called for a wood grain base with a black cabinet. 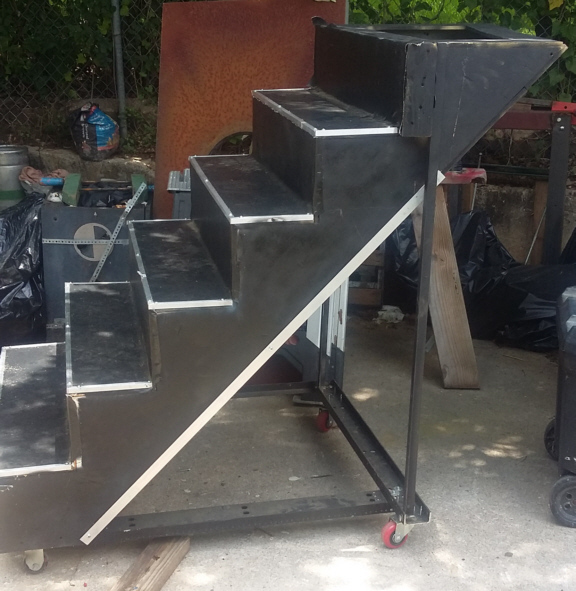 Design has been switched to make the prop more deceptive with the wood grain on the top container and base in black. Bolts and wing nuts hold it together and prop folds completely flat. 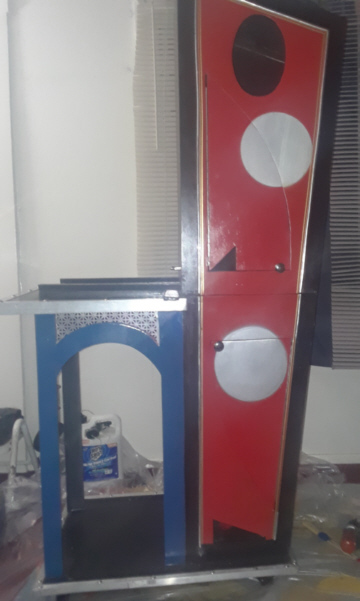 In this state, it measures 45.5" x 31.5" x 12.5" - Terrific beginning illusion, it is lightweight, goes together and comes apart quickly and can be performed surrounded. No case, will need to be boxed or crated. Packs Flat, Lightweight, Jack Hughes / Wakeling Style Design - No mirrors, no black art. You are really seeing straight through. Doors closed, spears removed and assistant reappears unharmed and maybe a costume change? The most unique and deceptive I've ever seen even at two feet away. Used as hillbilly with jug of moonshine. In good condition needs little touch up. This prop comes with a bluetooth lightbulb and costumes, Base breaks down for easy transportation. Has a very strong base on wheels that glide very smoothly so it can be rotated to show all sides. It takes only 7 minutes to set up. Base is newly painted and mechanism works very well. Includes light - Pick up in New York. 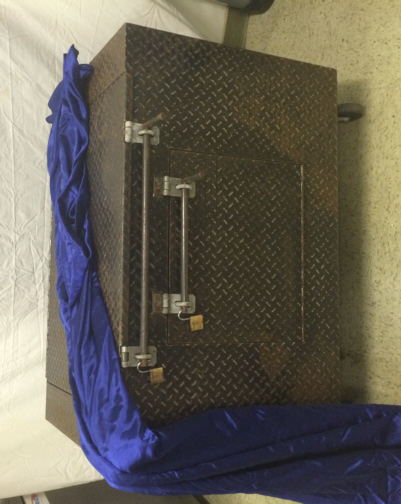 This Item is a diamond plated stainless steel 200lbs industrial subtrunk. This item has holes for a fork lift to lift it and is built on industrial grade castors for easier movement. The Illusion works on a different gimmick then most subtrunks (hasps). I used this to perform the Metamorphosis Illusion. I am including the original silk (weighted and trimmed for this specific illusion). normal back wall) for surprise appearance of another person. Magician transforms his assistant into the CEO. Mental Epic - stage size 48" x 33" x 1". Chalk board, wooden numbers Velcro on to board to cover your predictions. Back is one large chalk board with no dividers. In good condition, does show some wear, but ready for performance. 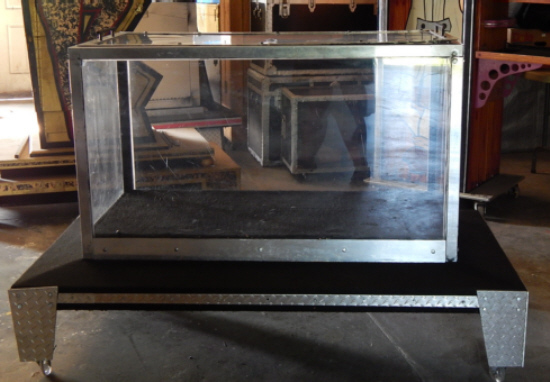 ATA flight case included; case is in very good condition. Cane Box with ATA case- good condition but has some wear and scratches, could use a paint touch up, made by Martini Co. Totally examinable and can be performed surrounded. Sets up in minutes if needed. No tools required. Uses TA method. Includes 4 brand new padlocks and 2 keys. Please specify color of curtain.